Camping in February? This was a first for my family. I don’t think I’ve ever braved late winter/early spring camping before, but the weather was looking so nice, and we had two bonus days off from classes, so I thought we’d give it a try. 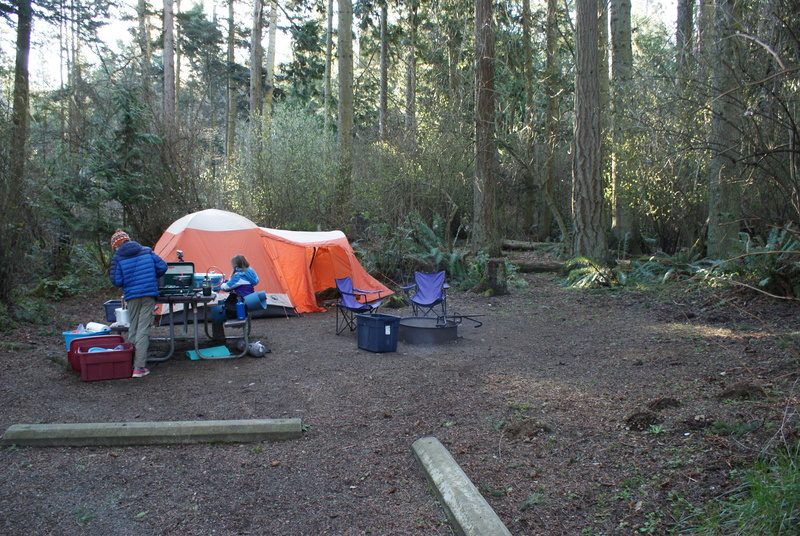 We had heard good things about the camping at the Salt Creek Rec. Area out near Port Townsend, and Gabe was yearning to head over to the Peninsula. We had a leisurely morning sleeping in and packing, and got out of the door around lunch time. A ferry ride is always a great way to begin a trip, and it makes the drive a little easier. I had thought we might make a few stops on the way to Salt Creek, but decided along the way that it would be best to just get to camp and set up. As it was, it was almost 4:00 by the time we had pulled in and set up our tent. Part of the tent camping loop was still closed, and the restrooms and water hadn’t been turned on in the section of the campground we chose. There was a pit toilet, however, and we were able to get water from the upper section of the campground where the RVs parked. Next time, I’ll remember to bring more water in a larger container. There are a wide variety of spots to pitch your tent. 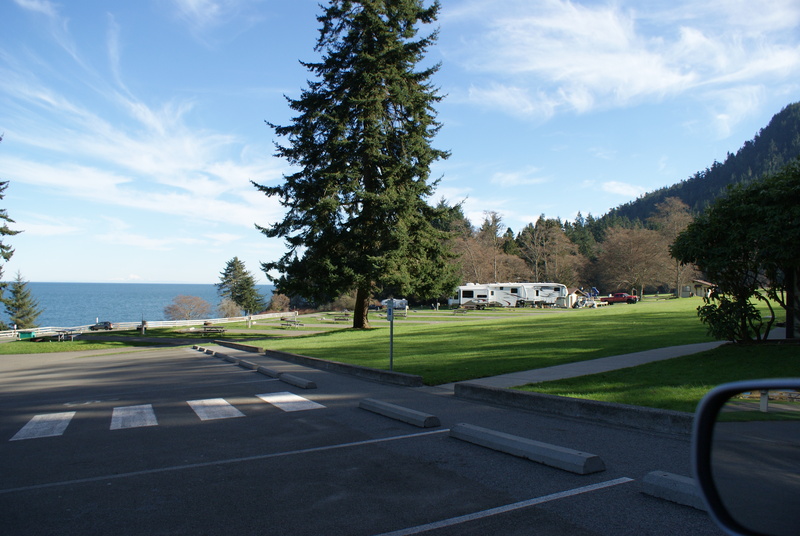 You can choose an upper lawn area near the RVs, a grassy, treed spot with little privacy but more sunshine, a spot in the inner circle with more privacy and space, or a spot along the bluff with a view of the water. Many of these spots are crammed close together, so you won’t have much room for large tents or much privacy. After we got the tent set up, it was apparent we were going to have a colorful sunset, so we went down to check out the beach and take some photos. 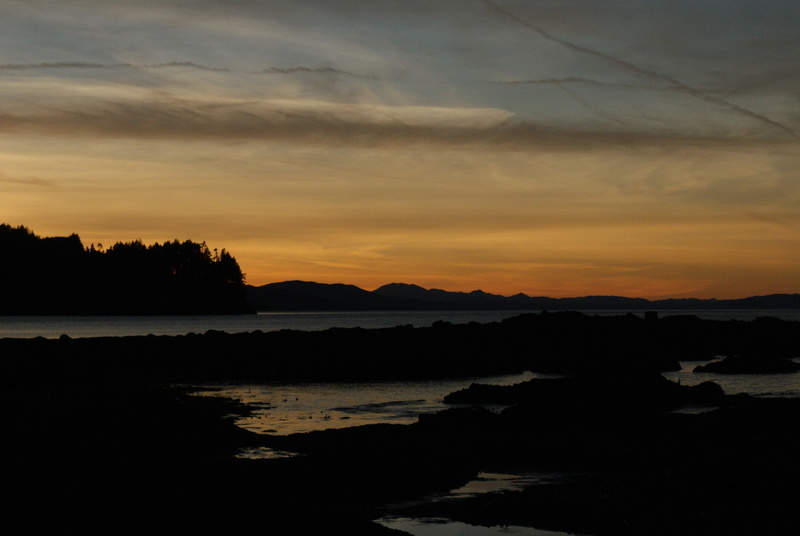 There was a pretty low tide, and we climbed down the rocks as dusk was setting in, peering into the tidepools and marveling at the different creatures. 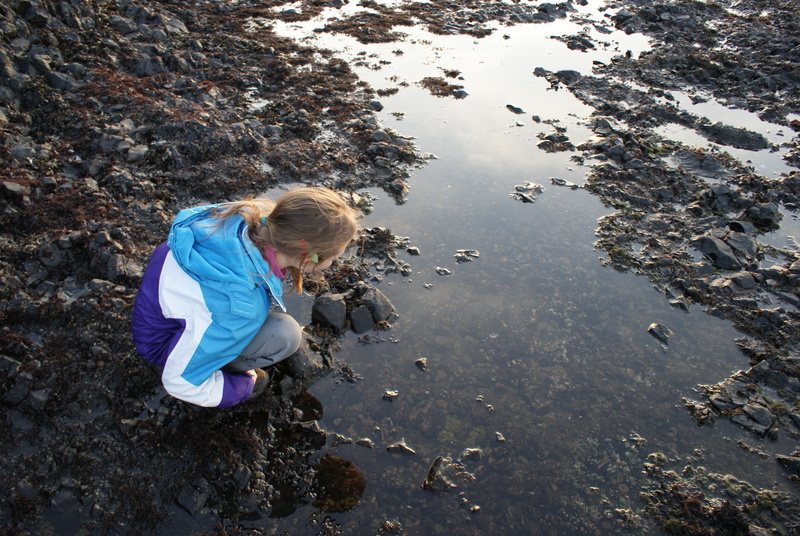 We saw lots of snails and hermit crabs in the upper pools, along with limpets and interesting seaweed. 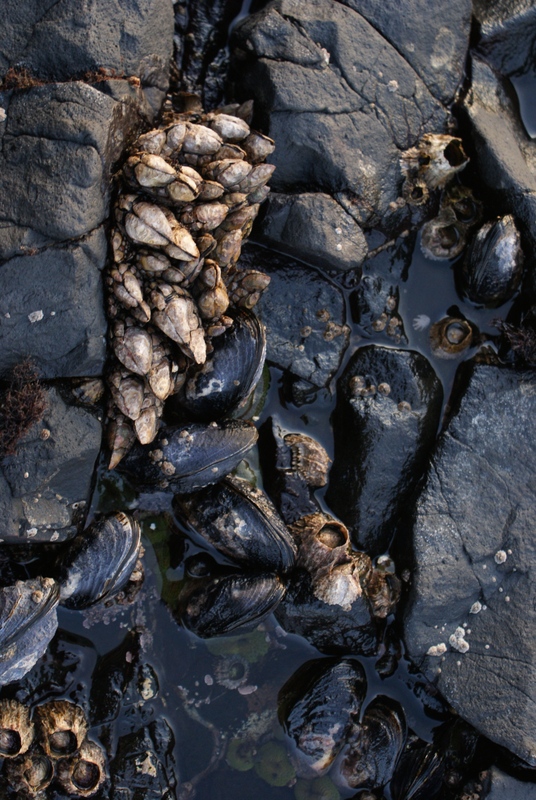 Closer to the water were a different species of barnacle that we hadn’t encountered before, filling in the spaces between colonies of huge mussels. We wanted to walk out farther on the rocks, but they were so thick with encrusting creatures, and we didn’t want to destroy all the sea life. We did catch a glimpse of some brilliant green anemones, though, and if we could have clambered onto other parts of Tongue Point, I’m sure we would have seen many other interesting animals. We heard some unfamiliar sea birds calling, but it was dark enough I wasn’t able to identify them. 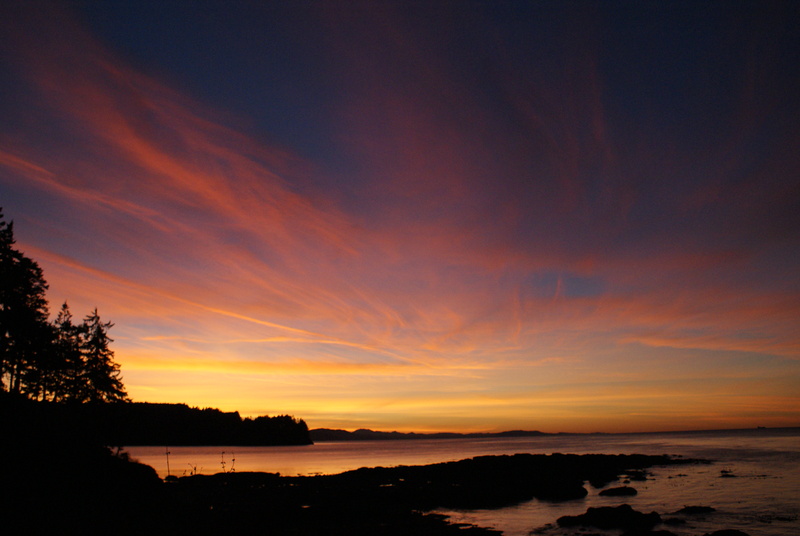 The sky was changing colors every few minutes, and we enjoyed trying to capture the palette on our cameras. The colors got better, deeper and brighter as it got darker. Annika said it was the best sunset she’d ever seen, and thanked me for bringing them to this special place. It’s times like these that make all the work and effort worthwhile. We stayed out as long as we could, but eventually our grumbling tummies and cold tushes drove us back to camp to make a fire and cook dinner. We got a nice little fire going in the last of the light, and warmed up with soup from a can and hot cocoa. After we had settled a bit more, we went back out to the point to look at the stars. Gabe thought they were almost as good as our experience up at Paradise last summer. We stayed out long enough to marvel at the universe, then it was time to snuggle into our sleeping bags for the night. Nobody slept well, partly because it was a little cold for comfort (whose idea was it to camp in February, anyway?!) and partly because we were all thirsty and the breeze was blowing the tree tops. 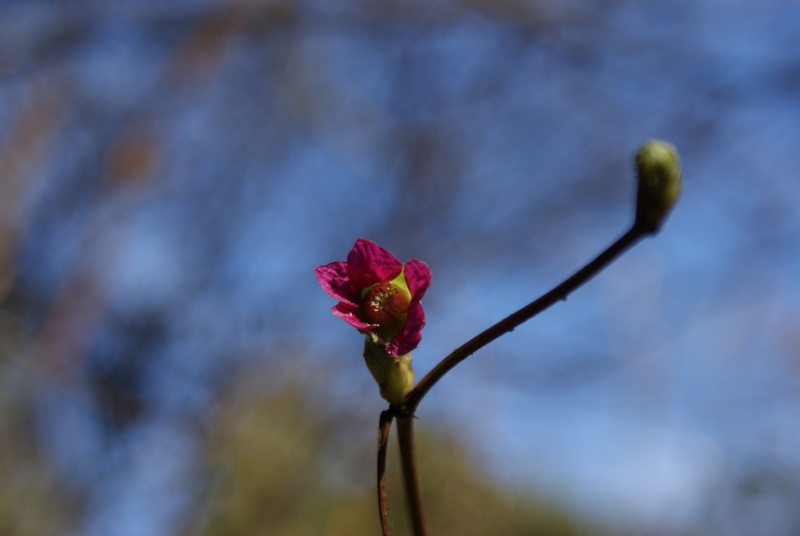 Finally it was morning, though, and another sunny day awaited us. We warmed up with breakfast, packed up and took the tent down, and got the truck loaded. The kids were really helpful getting everything cleaned and packed. 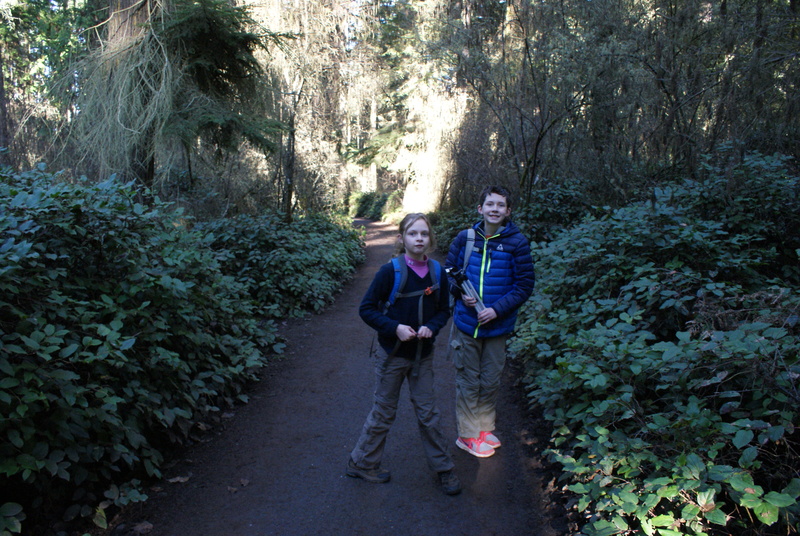 We decided to explore around the campground for a bit, and walked the trails along the bluff. There are a couple of different spots to access the rocks, and interesting vistas out to the north and west. 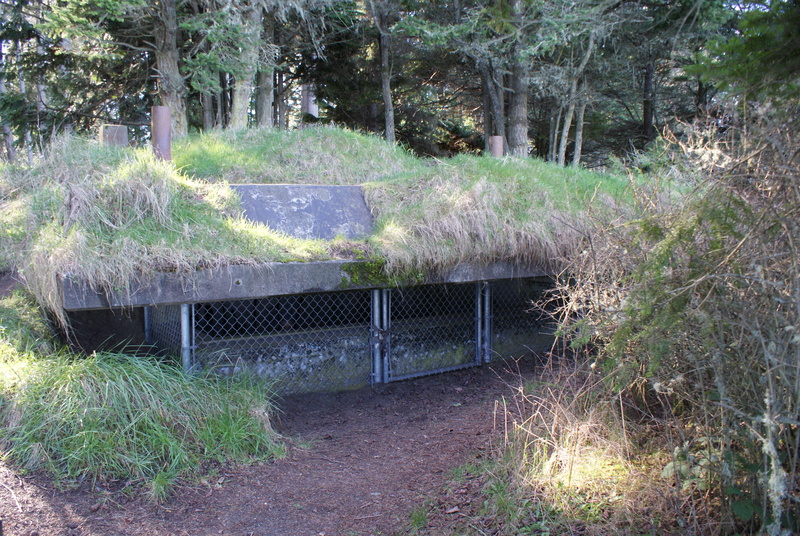 You can walk a trail up to some old World War 2 bunkers on the bluff (you can drive up there, too, if you’d like). The birds we saw were different from our normal Puget Sound birds. The most exciting for me were the harlequin ducks, with their beautiful patterns and unique colors. There were many other birds diving and swimming just a bit too far out of binocular range for me to identify. We also heard and saw our normal forest birds – bald eagles chittering at each other, crows and ravens, Pacific wrens, varied thrushes, and another little tweety bird high up in the conifers. When we drove down to the western edge of the park where Salt Creek flows down and meets the sea, we saw some buffleheads and Barrow’s goldeneyes. 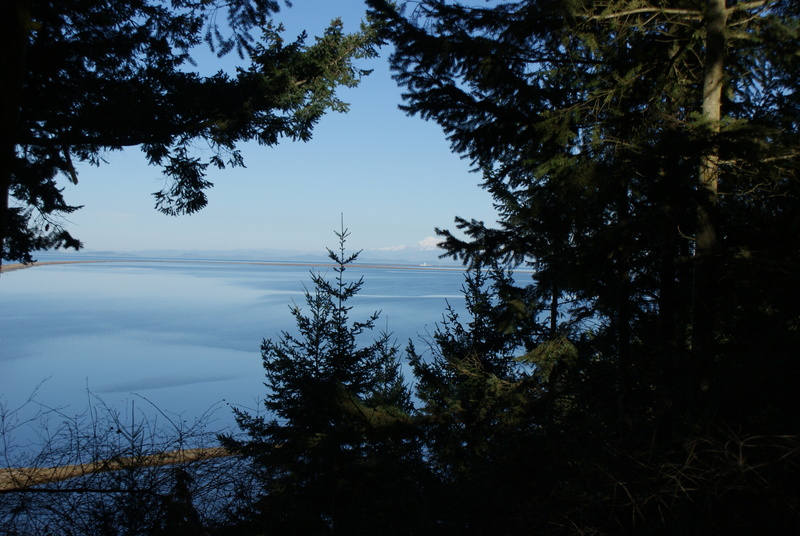 After exploring for awhile, we thought we’d drive into Sequim and make one more stop. I had two places in mind, and since Gabe really wanted to see Dungeness Spit again, we settled on that spot. I saw a kestrel on a wire along the road, as well as several red-tailed hawks. 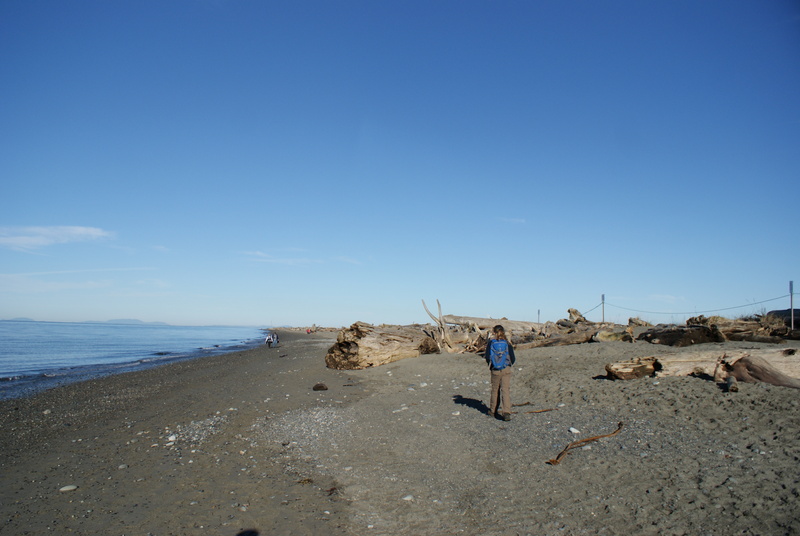 We made a late lunch in the Refuge parking lot, and then walked down the short trail to the beach. We didn’t venture very far down the Spit this time, but found some nice driftwood to sit on and play around. I tried with limited success to identify the birds I was seeing. A surf scoter with its colorful beak fed out in the water, and I think I also saw common loons and American wigeons. A belted kingfisher and a great blue heron fed out in the protected waters. Annika got sand in her shoes and in her hair as we soaked up the late afternoon sunshine. It was soon time to leave, though, and complete the drive back home, so we said goodbye to the Peninsula and headed home to a waiting Daddy. 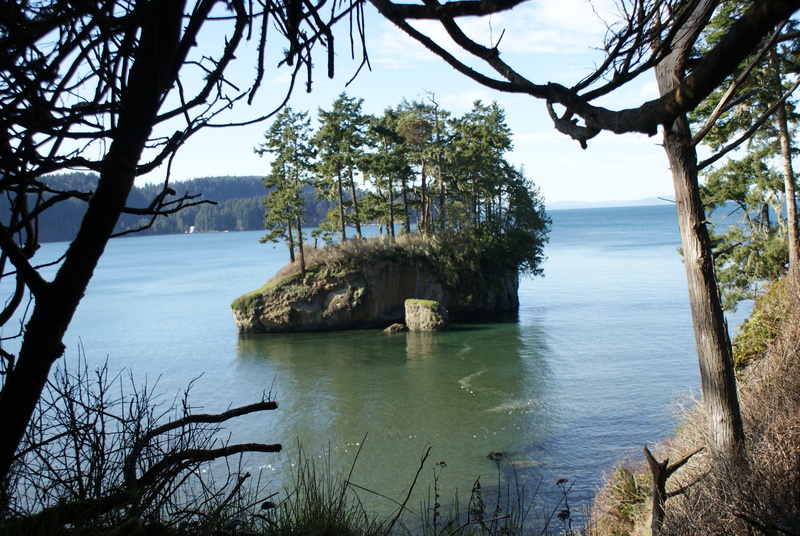 If You Go: Salt Creek Recreation Area is run by Clallam County Parks. Reservations are recommended for weekends and the busy summer season. Find directions on the website. There is some free day use parking if you don’t want to stay the night. The campground has flush toilets (not all are open in winter), potable water, some electric hookups for RVs, and a playground and RV dump station. Salt Creek Rec. 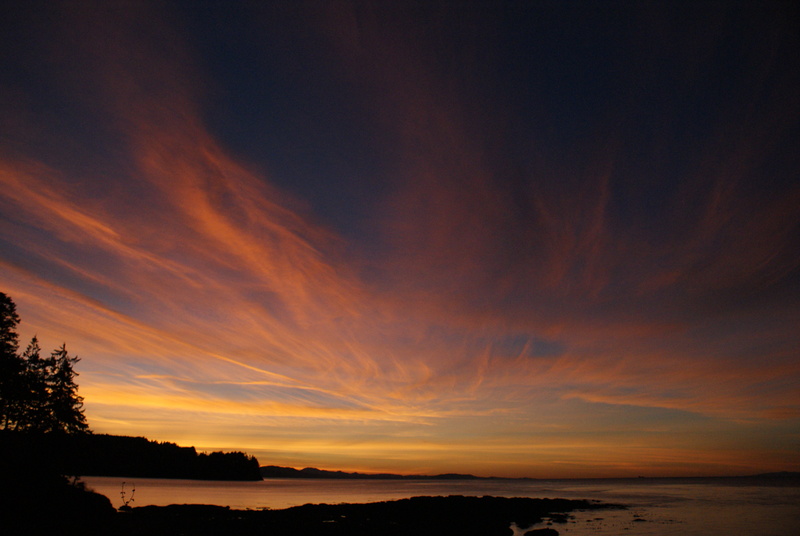 Area is located at 3506 Camp Hayden Road, Port Angeles, WA 98363. 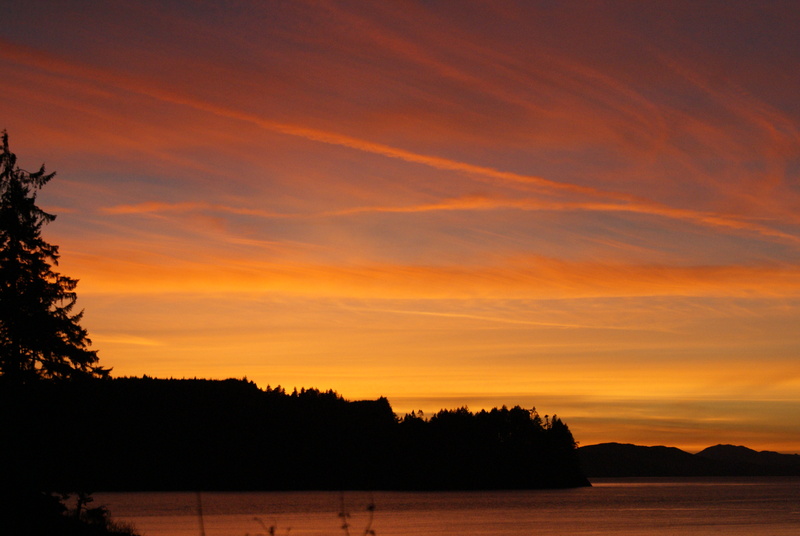 You’ll drive on Hwy 101 through Port Angeles, then take Hwy 112 east from there, and turn right on Camp Hayden Road. Check the tides before you go to see if there will be any low tides during your visit (I like protides.com or NOAA’s tide info.) The park gate is open from 7am – 7pm in the winter and 7am – 10pm in the summer. 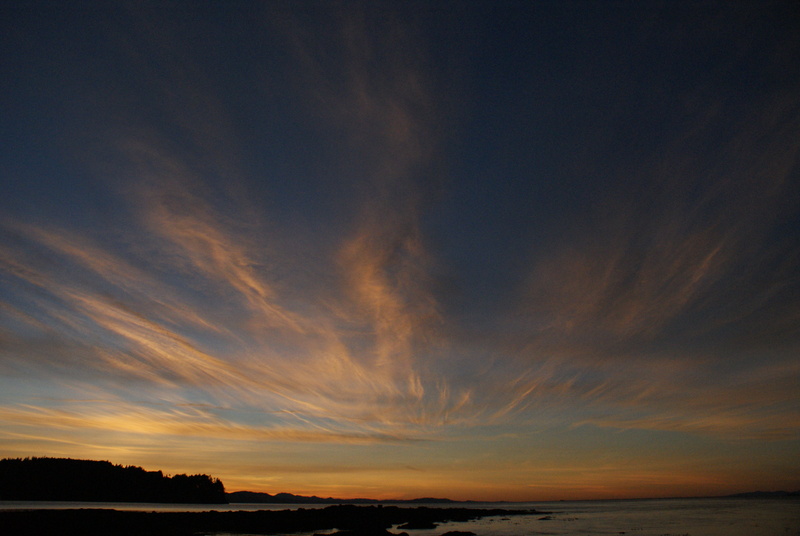 The Dungeness Spit area is administered by two different agencies. 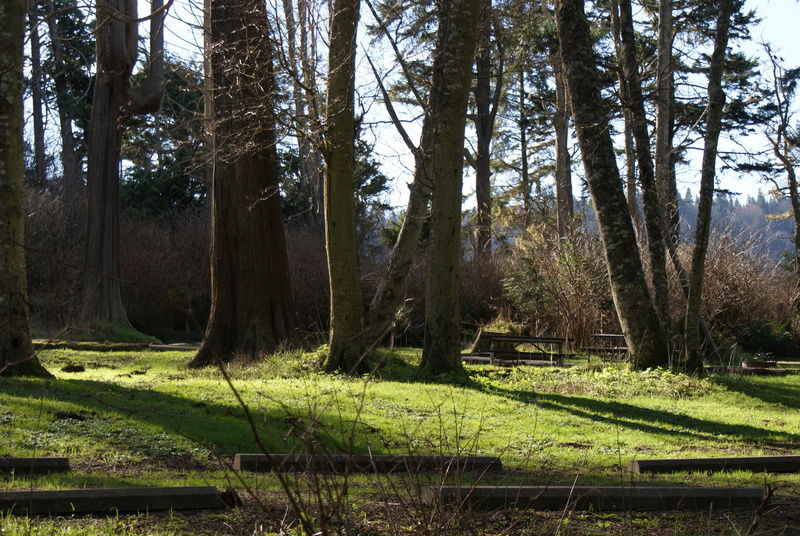 The campground is open year-round, takes reservations, and has tent and RV spots (no hookups.) There are flush toilets and running water. 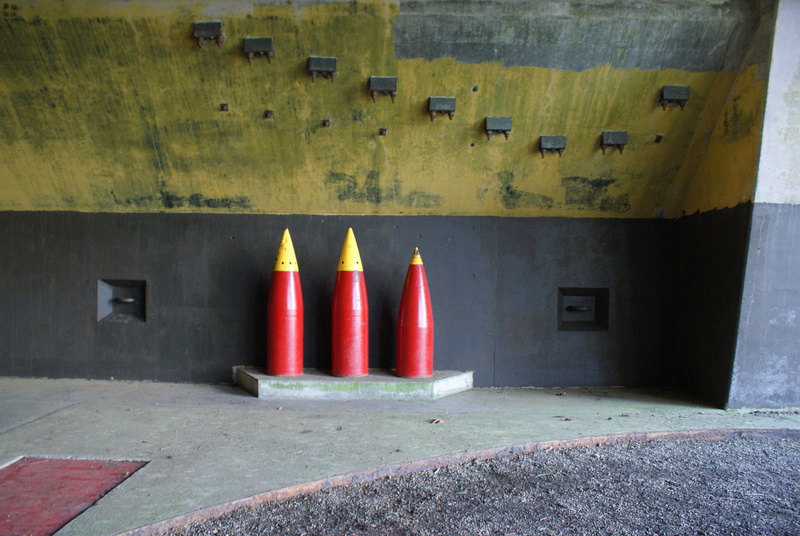 You can also enjoy the picnic area and the one-mile trail on the upland bluffs. 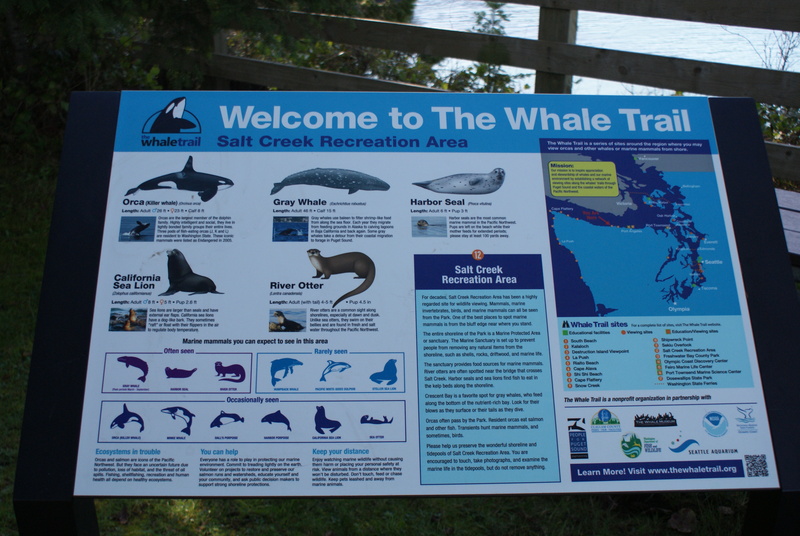 The National Wildlife Refuge has a separate parking area, restrooms, and interpretive signs. It requires a $3 entrance fee per family group. 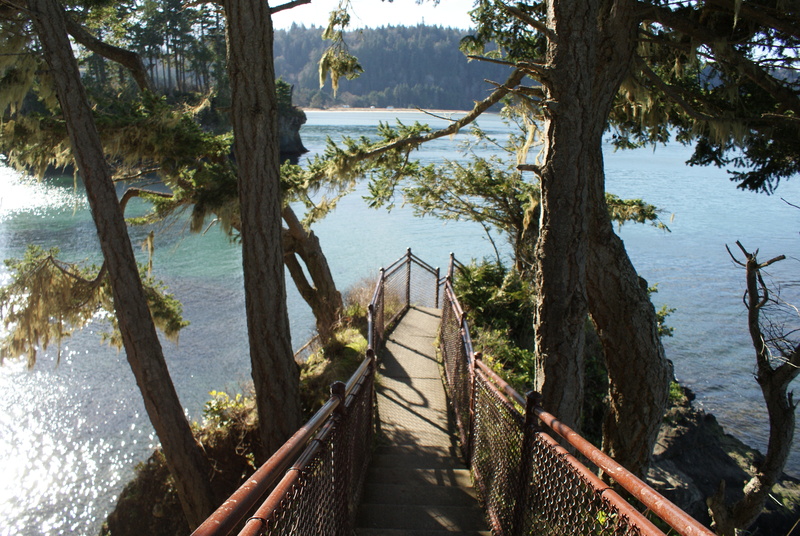 Families can walk the easy 1/2 mile trail to the beach (the last section is steep but short), and walk any distance out on the spit. It’s a long 5 mile hike out to the lighthouse at the end of the Spit – consult tide charts and make sure you have plenty of water and snacks. Hardy hikers can be rewarded with a tour of the lighthouse. Parts of the spit are off-limits to humans to protect wildlife. Some activities aren’t allowed on the spit for the same reasons. Find driving directions and hours on the Refuge website. Sounds like a great outing. I’ve seen pictures of the Harlequin ducks and have hoped to see one in the wild some day. So glad you were able to mark it off your list!